The following accessories can be used with the Baseline Back-Leg-Chest Dynamometer, Cable Tensiometer and Push-Pull Dynamometer. The accessory is first securely fastened to the subject near the muscle group being evaluated. The measurement device is then connected to the accessory. 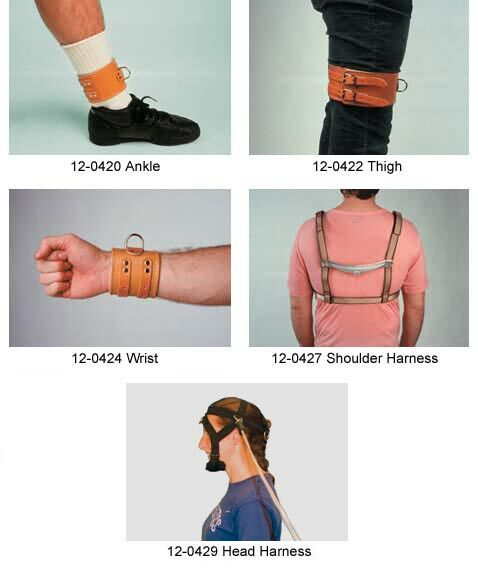 Note: The Baseline Cable Tensiometer comes with all of these accessories except for the shoulder harness (12-0427) which must be purchased separately.